Helping Pet Adoption < Friskies Playhouse goes live! We are so excited about this new adventure for cats being opened by one of Adopt-a-Pet.com’s sponsors, the passionate pet lovers at Purina®! Imagine a colorful, one-of-a-kind residence complete with a built-in pond, custom aquarium and touch screen floor. It’s an indoor playground – with a twist: the residents are cats. Starting today, Friskies® hosts 10 cats for two weeks in the Friskies® Plus™ Playhouse, the ultimate play space for cats, broadcast live daily on the Friskies Facebook page. The Playhouse offers the Friskies Facebook community unique interactive opportunities to tune in , interact with the cats, and help create the imaginative environment. The 10 cats living in the two-room Friskies Playhouse are part of the MeoowzResQ network of foster cats available for adoption. MeoowzResQ is a non-profit cat rescue and adoption organization serving the Orange County region of Southern California. MeoowzResQ is part of the Adopt-a-Pet.com network of animal rescue and adoption organizations. MeoowzResQ helps find permanent homes for hundreds of cats each year. The participating cats were selected based on a variety of factors, including personality and age. The Playhouse features are based on maximizing opportunities for cat play. Certified Animal Behavior Consultant and cat behavior expert Pam Johnson-Bennett worked with Friskies to help recommend design themes and elements for the Playhouse cats. The feline housemates will enjoy a large built-in aquarium, touch floor to play Friskies® Games for Cats and many unique climbing spaces. Each day “extras,” or new engagement features, will be added to the Playhouse based on input from the Friskies Facebook community. Extras up for vote may include a large climbing tree, tunnel system and bubble machine. Final decisions will depend on Facebook community votes. Anyone who visits the Friskies Facebook page may watch the cats in the Playhouse live from 3 p.m. to 6 p.m. EST/noon to 3 p.m. PST, every day, February 6 through February 19. If consumers miss the live window or just want to see more, they may visit the Friskies YouTube channel to watch daily highlights and recap videos. New highlights will be posted each morning. The Friskies Facebook community gets to play too: in addition to helping choose new extras to add to the Playhouse and watching the cats; consumers may interact with the cats. The Friskies Plus Play Live feature offers three mechanical toys for users to select to operate four fully movable and zoomable cameras. Friskies Plus Play Live gives fans the ability to “play” with real cats in real time. It’s a modified version of iPet Companion, created by AliceVISION™, which says its free app boosts adoptions, donations and sponsorships in pet rescue and adoption shelters worldwide. The Friskies Plus Play Live feature will be active on Friskies Facebook page independent of the live daily broadcast. Fans can play from 3 p.m. to 11 p.m. EST/noon to 8 p.m. PST daily February 6 through February 19. 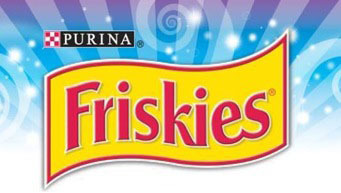 To watch the Friskies Playhouse cats live, or interact with them using the Friskies Plus Play Live feature, please visit www.Facebook.com/Friskies. To view highlights and video clips from the Playhouse, please visit www.youtube.com/PurinaFriskies.